The Paraclub Beromünster has been founded in the 1960s and currently has about 200 members. Our plane, the PAC 750XL can transport up to 18 skydivers, which allows us to do around 13,000 skydives a year and more than 1,000 tandems. 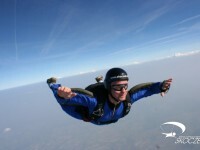 On our dropzone you will find just about everything our sport has to offer. 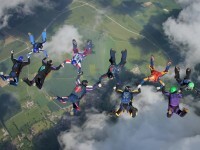 From tandem skydives, student programmes to freeflying courses and teams. 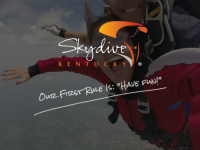 For fifteen years, you knew us as Skydive Greensburg. Now, we've moved to Frankfort—just 30 minutes north of I-465/I-65. And we're brought our awesome instructors, videographers, and commitment to safety and big fun with us! 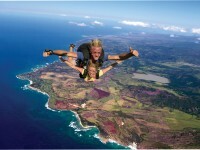 Come on out and jump! 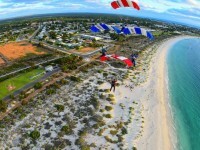 Australia's Most Beautiful Beach Skydive. Commenced operations December 2010. We do beach tandems for and run full course Monday-Friday AFF camps where students and less experienced jumpers are welcome. 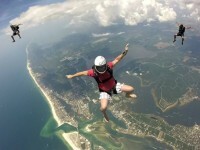 Beach jumps are available all the time for D licence fun jumpers. 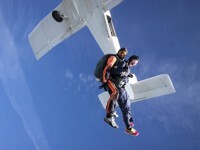 Summers are very windy with only morning jumps, Easter till October is beautiful weather jumping all day. 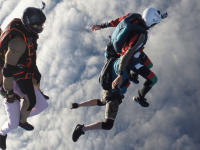 THE SKYDIVERS DROPZONE and the Home of Army Parachuting Courses, progression, AFF, Static line, Canopy Piloting, Formation Skydiving, Load Organised Big-Ways, Wingsuit Flocks, Free-Flying….and more! If you would like more information about skydiving contact the APA office, and we would be delighted to guide you in the right direction. 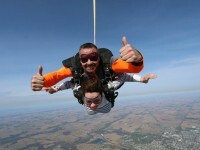 DropZone is located in South area of Poland. It's 80km from Kraków. Beautiful views of the polish/slovakian mountains (Tatra Mountains). 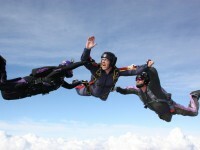 DropZone is located in North-East area of Poland. It's 100km from the capital of Poland (Warsaw). 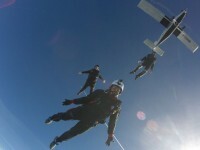 Open between April and October Large, secure DropZone.